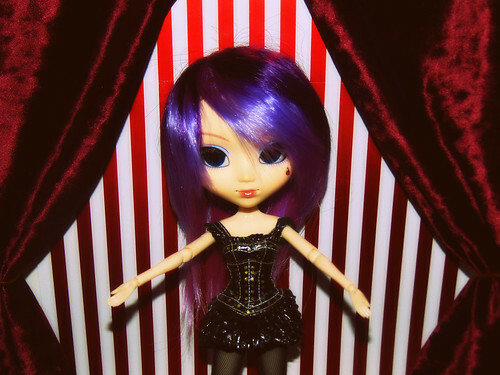 This is amazingly atmospheric, and a perfect setting for your Jovi! I've been thinking about building some kind of "stage" type set for quite a while now. This gives me some ideas. I really like the section with the "wood" backdrop. 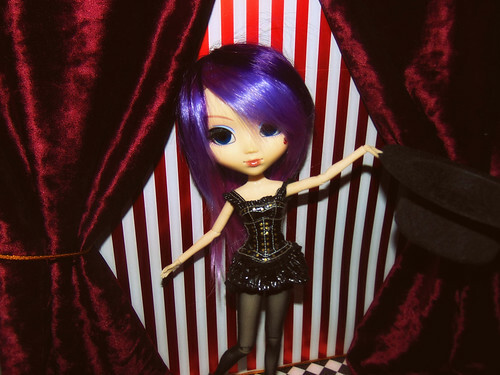 It contrasts in a strangely spooky way with the "show" part of the stage with the velvet curtains and bright colors. Is that an actual wood floor, or a realistically textured paper? And how did you get your girl to stand up in those "circus" poses? 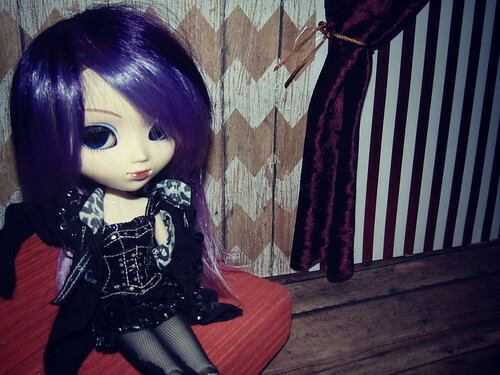 So many dolls, so little space! (09-13-2018, 04:36 AM)davidd Wrote: This is amazingly atmospheric, and a perfect setting for your Jovi! I've been thinking about building some kind of "stage" type set for quite a while now. This gives me some ideas. I really like the section with the "wood" backdrop. 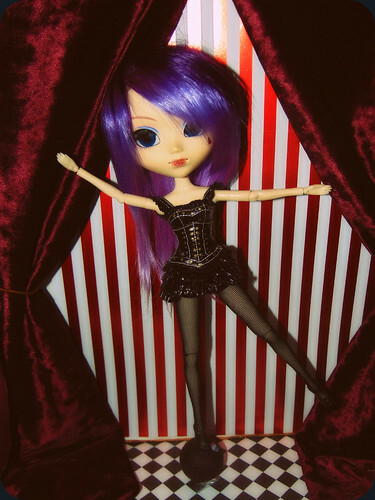 It contrasts in a strangely spooky way with the "show" part of the state with the velvet curtains and bright colors. As for getting her to stand, I put the backdrop in a chair and had her lean against it Even in the photo of her on the ball, I taped down the ball and balanced her on top, resting her head against the backdrop for support. Currently drinking tea. Yes, always. Ahh, that's so lovely!! 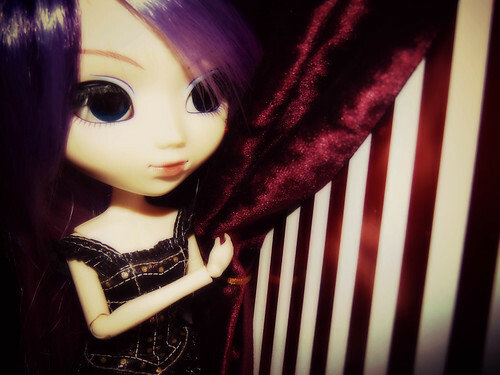 The velvet curtains are a really nice touch. And that's amazing how you got her to stand on the ball. This is very cool, and also creative use of scrapbook paper. I've got some that I haven't got round to making rooms with, so definitely this has inspired me. Thank you for sharing the construction details! Nice job on the set, and very cute photos too! Nope! I taped the ball to the floor a little bit and tried over and over again to balance her on the ball But, when I finally got it I took a picture as fast as I could before she had the chance to fall! And again, thanks so much everyone for the nice comments I could make a thread about making backdrops when I get a chance, if anyone would want that. 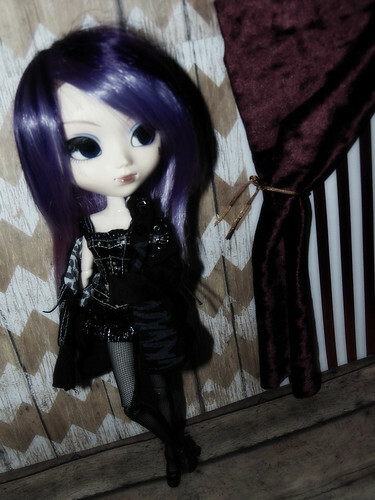 But, I basically just modify Myfroggystuff tutorials or make tiny sets in bookshelves to build my photostory dollhouse. And if something doesn't work I just refuse to fail! (09-15-2018, 05:22 AM)s1dthesqu1d Wrote: And if something doesn't work I just refuse to fail! That's such a great attitude! For me, if something doesn't work, I give up and think negative thoughts about myself for the rest of the day. Very cute set! I’ll have to try something like this sometime.